One of the few juniors recommended as a Leading Individual by Chambers and Partners for both finance and children work, Stephen practice focuses on high value money cases and complex private law matters. Stephen’s cases routinely involve an international element and he has experience with high profile work involving national and international news coverage. Stephen has represented clients in proceedings in all levels of court, up to and including the Supreme Court, and has also advised clients litigating abroad. 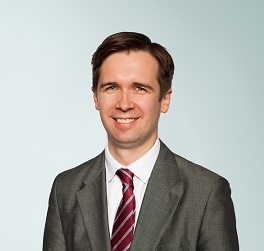 Stephen routinely deals with high value matrimonial finance and Schedule 1 matters, including cases in which the assets are complex and include disputed valuations of companies and pensions, or those where assets based abroad. Stephen often advises and represents clients in proceedings involving allegations of non-disclosure or alleged dissipation or assets. Stephen is ranked as a Leading Individual for family finance cases in the Chambers and Partners directory, and attracts praise for his attention to detail, his calm, approachable manner and his effectiveness in the courtroom. Stephen has written a number of articles and co-authored book chapters on family finance. Re C (Internal Relocation)  1 FLR 103 – the leading Court of Appeal authority on cases involving a relocation within the United Kingdom. Re D (a child) (No 2) (recognition and enforcement of judgment: Supreme Court jurisdiction)  4 All ER 95 – Supreme Court appeal concerning the voice of the child and the jurisdiction of the court to entertain appeals from the Court of Appeal under Brussels IIR. Re OB (Private Law Proceedings: Costs)  1 FLR 92 – the first reported case in which costs were awarded against a non-party in a private law case. Stephen represented the father, PB, who succeeded in his application for costs on the basis of principles drawn from wider civil jurisprudence. Re S and O (Temporary Removal from Jurisdiction)  Fam Law 114 – case concerning a novel technique for securing the safe return of two children from a non-Hague Convention country. Stephen often appears with or against silk (QCs) in children cases and has written a number of journal articles concerning private law matters. Stephen’s articles and case summaries have been published on the familylawweek.co.uk website. Stephen has a young family and his interests include foreign travel and culture, particularly Asia and the Americas. When at home, Stephen’s main hobby is football, both playing and watching, and he is a qualified Football Association referee.